"I find this book to be an inspiration--a great capacity for wonder, an inherent moral sense, and a gentleness of spirit all forming genius." "Like Tracy Kidder, Michael Pollan is a writer to immerse oneself in. He's informed and amusing, with a natural sort of voice that spools on inventively beyond expectations into a controlled but productive and intriguing obsessiveness (whether on Johnny Appleseed or marijuana). A Fine book." "We can be grateful indeed that one of our wittiest writers about nature is also one of our wisest. 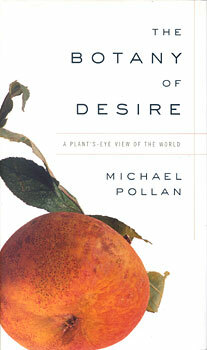 Pollan makes a persuasive case that the plants we might be tempted to see as having been most domesticated by humanity are in fact also those that have been most effective in domesticating us. It is a stunning insight, and no one will come away from this book without having their ideas of nature stretched and challenged."